When Mercury enters retrograde, it’s a time of pure astrological panic. Being an inner-planet with a backwards tailspin that only lasts around three weeks, it makes sure to pack a deadly punch in a short amount of time. Since Mercury rules over communication, ability to express ourselves before others, coordination and planning, cognitive function, transportation, and the aspects of our life that allow things to run smoothly. You should be mindful about your planning and execution; it could drag your life into the ground. 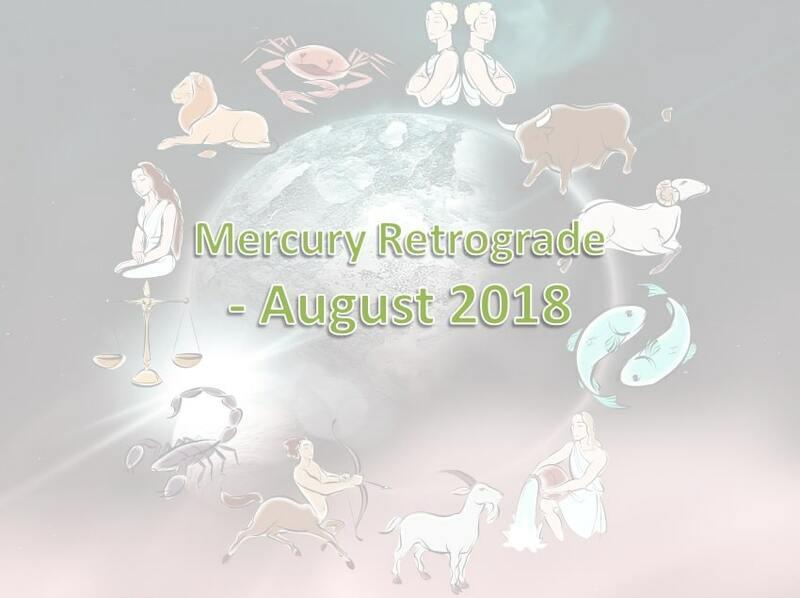 However, I would like to suggest you some precautionary measures which you should follow during retrogression period of Mercury. You should take precautions and remain patient while it remain retrograde from 26th July’18 to 19th Aug’18 for three weeks in watery and fluctuating sign of Cancer, this period may actually be super cleansing for your overall life. You should take the following advice to heart and brain. Try to avoid rough and rude conversations with others, you shouldn’t go for time wasting meeting and get together, any unproductive expenses should be remain low, and don’t indulge in any activity which keep you in embarrassment and frustration in near future. We shouldn’t ever prepare to scuffle with Mercury during it’s retrogression period. Since Mercury retrograde, you should check advice seriously according to Moon sign, because you will have to need all the suggestions which I am going to writing Moon sign wise. During retrogression period of Mercury you should try to avoid conflicts with your family; ignore others mistake and don’t make issue of them. If you feel like rebelling against traditions and customs, this is not a suitable time to acting like angry young man. You should try to wait until Mercury’s retrogression period get over before causing a commotion. This is not a good time to make any drastic decisions in your home life, such as redecorating or moving to a new house or place. Don’t give your opinion until you not get invitation to give your advice on a particular topic. You should deliver very balance opinions. You tongue may create problems for you; so think twice before you speak. I would recommend you to communicate with integrity and honesty and avoid indulge in lying and gossiping. Remember to double check everything before hitting “send.” Practice patience and restraint during tense conversations. You should be fearless while speaking up. Too much restraint will cause everyone to walk all over you. You should try to be patient and mindful with your statements, Silence is best answer and you should speak only when it’s very important. Your words are your arms you should use them wisely. Drift too far into your own world will make you stuck. Some strange things may happen during this period in your professional life. You should think twice before taking your career related decisions. You may get entangled in conspiracy and may feel yourself trapped. Take care about who you spend your time with; I would strongly recommend you to wait until Mercury’s retrogression period is over before making serious commitments. One more thing I want to indicate that you should also avoid conflicts with your existing friends and community and your shouldn’t allow others to peer pressure on you. Spouse may remain hyper and it may cause of marital disharmony. You get hyper during this period as so many secrets will open before you during retrogression period of Mercury. You should not investigate into things which may hurt your feelings and emotions. Best remedy for you is to ignore things during this period. You may get so much pain in relations. Not to ignore your health, else you will fall ill. You will have to learn how to control on your emotions and don’t let others know what is inside you. You should try to put maximum efforts to stay organized. I won’t advice you to be in so hurry and displeasing, if it is, you may lose important opportunities or may forget crucial information. You should try to avoid eating unhealthy and junk food otherwise you may fall ill and feel weakness in your body. I would strongly recommend you finish existing projects rather than beginning new ones. You should try to keep healthy relations with your siblings and have polite communication.